Q. How can I return a title I have downloaded to Adobe Digital Editions? I have finished reading the book before the expiry date. Open Adobe Digital Editions from your computer and ensure that you are in the 'Library' view, then select Borrowed. 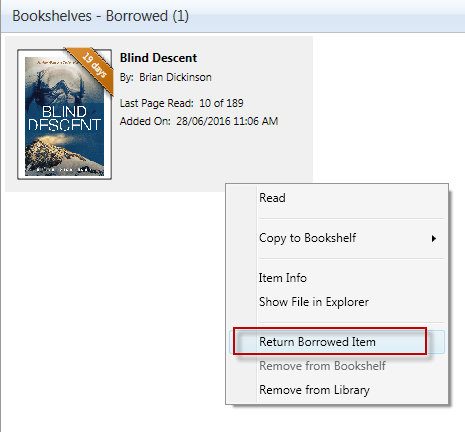 Right click on the cover of the title you wish to return and choose Return Borrowed Item. This will also remove the title from your computer. 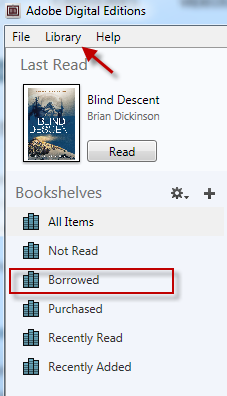 Note: If you remove/ delete the book from your computer without returning it, you will still be able to download the title until the lending period expires.